All about the Taste of Bordeaux. 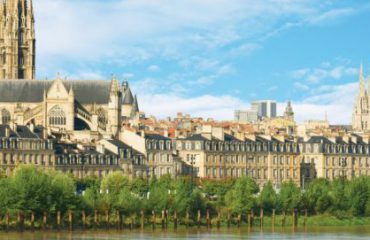 Your cruise begins in Bordeaux, the capital of Aquitaine in Southwestern France and one of the world’s undisputed wine capitals. 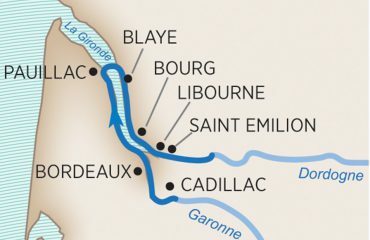 You’ll discover stately chateaux, abundant vineyards and stunning scenery as you sail along the Garonne River and its surrounding estuaries, calling upon port cities like Cadillac, Bourg and Libourne. Enjoy tastings of some of the region’s most distinguished wines and visit notable sights before concluding your journey. 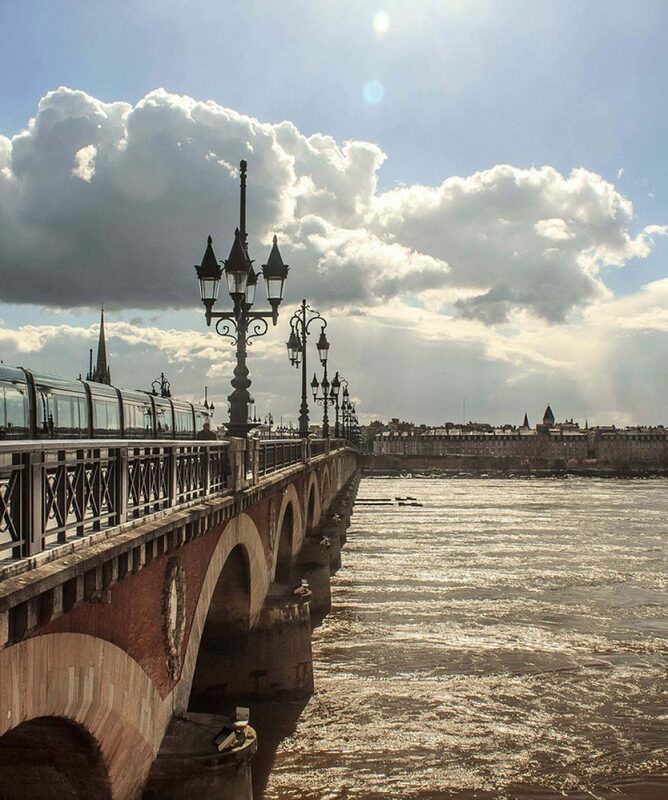 Welcome to Bordeaux, where you’ll board your luxurious river cruise. 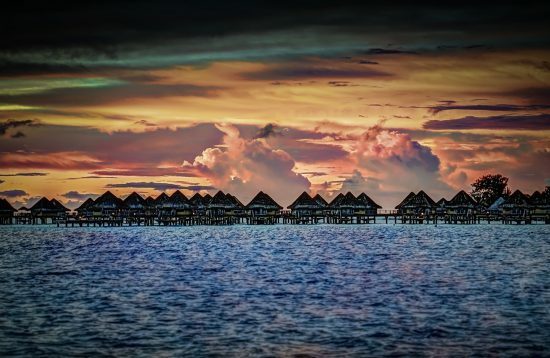 Meet your fellow passengers this evening during a delectable Welcome Dinner. Arrive this afternoon in Cadillac, a region renowned for its sensational white wines. 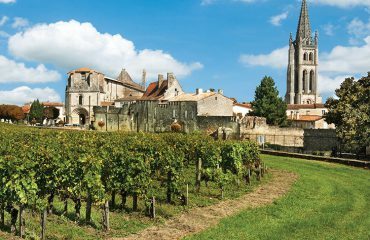 Today you will visit the Sauternes wine region, where you’ll taste the highly sought-after sweet wines made here. Afterwards, you will see historic Roquetaillade Castle, which is one of the most impressive castles in Europe. It is almost perfectly preserved and still owned by the original noble family that has possessed it for hundreds of years. 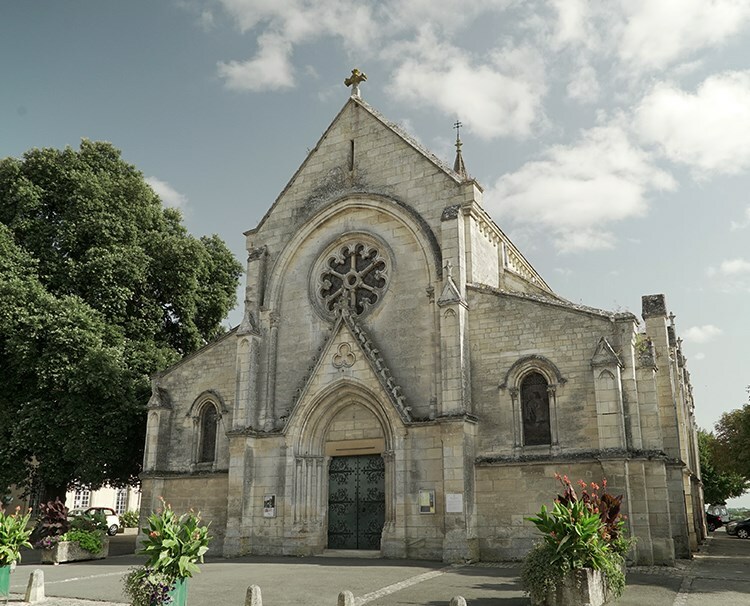 Today, you will enjoy a panoramic tour of the lovely village town on the Left Bank of the Gironde estuary known as Pauillac. 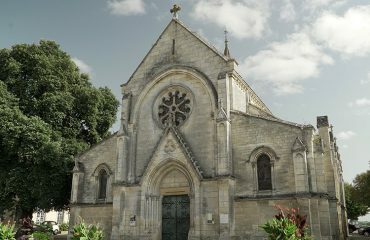 Situated in the famed Médoc AOC (appellation d’origine contrôlée, a government controlled destination of origin which signifies where grapes are grown), Pauillac’s gravelly soils are renowned for producing some of the world’s finest Bordeaux wines – especially those made from the Cabernet Sauvignon and Merlot grape varietals. You’ll be able to taste local at an authentic Grand Cru Classé wine tasting and also have free time to explore Pauillac – we will be docked here overnight. us pilgrimage route from the middle ages. 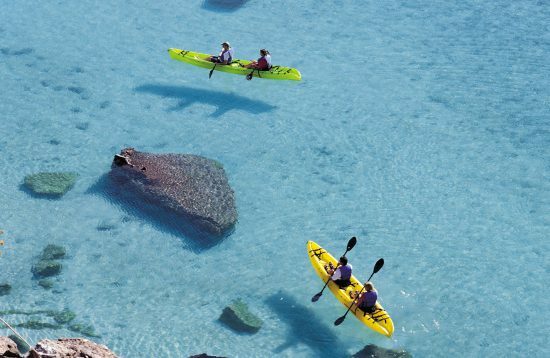 Return to the ship for a delicious lunch and prepare for an afternoon in Bourg, to which you can cruise or bike. The bike tour will take you along the “Captain’s Road,” a scenic coastal path that leads to Bourg sur Gironde. Ideally situated at the confluence of the Dordogne and Garonne, this historic village still lives inside medieval walls. Built during Roman times and later fortified by the English, it is filled with rich architectural tradition. Afterwards, enjoy an exclusive festival of music and wine from the appellation of Cotes du Bourg. The ship will remain here overnight. 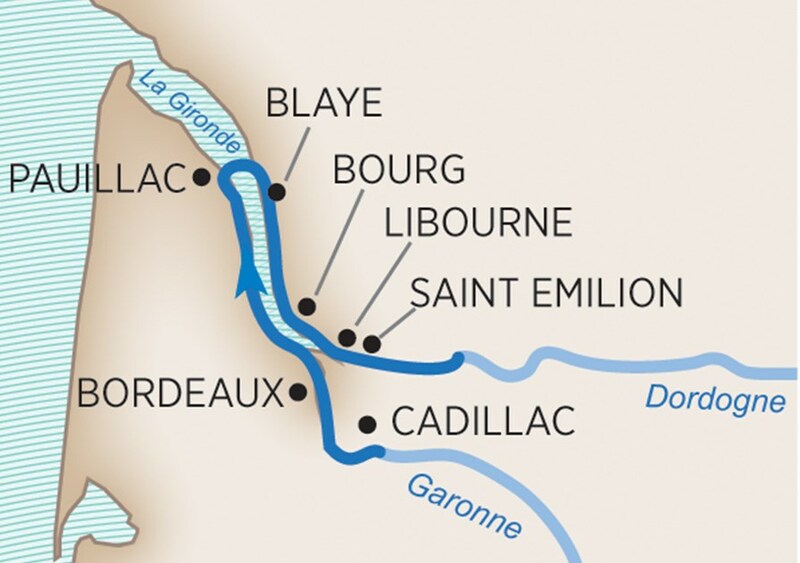 This afternoon, you’ll arrive in the winemaking capital of Libourne. 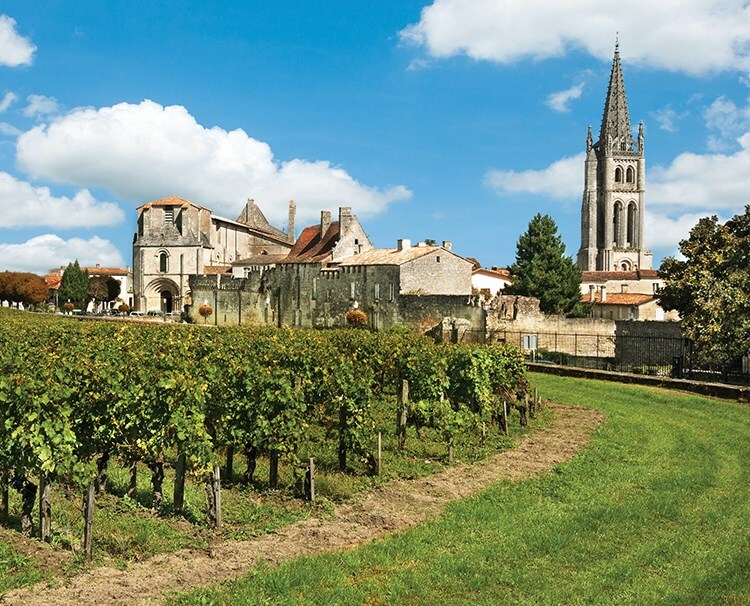 Two of Bordeaux’s most elite wine regions are very close by – Saint Emilion and Pomerol. 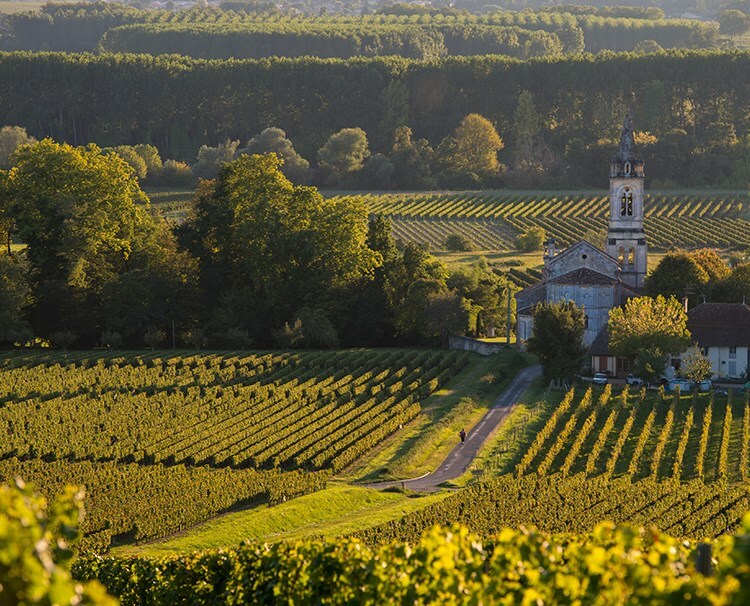 You can either enjoy a Grand Cru Classé wine tasting and a visit to the Underground Churches (a UNESCO World Heritage Site) in St Emilion, as well as a panoramic tour of Pomerol, or join a guided bike tour through the vineyards of both towns followed by a wine tasting. 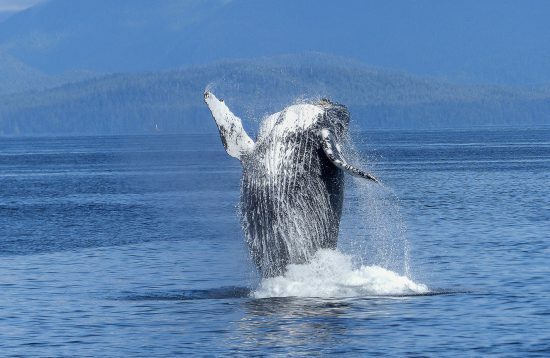 This evening, indulge in a special Captain’s Gala dinner. The ship moors overnight in Libourne. Start your adventure today with a tour of the magnificent Château Vayres, located on the banks of the Dordogne River. As an alternative you can visit a well-preserved local bastide town, which was fortified during medieval times. 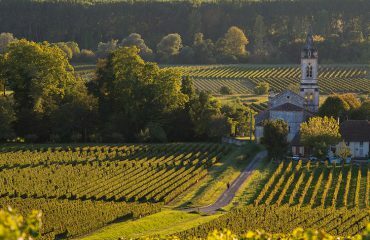 This afternoon, you will have the option of a Fronsac wine tasting, or to visit Château de Montaigne, a stunning 14th century castle that was the family residence of the philosopher, Michel de Montaigne. We sail to Bordeaux this evening. Today you’ll see the elegant port city of Bordeaux. The breathtaking capital of the wine world is a UNESCO World Heritage Site and, with over 360 historic monuments within its borders, it is also classified as a “City of Art and History.” You’ll have an opportunity to experience much of the rich culture and architecture here, including a tasting at the Wine Museum. You will see sights like the Pont de Pierre Bridge, Quinconces Monumental Square and the famed water mirror, Mirroir d’eau. Those seeking a more active way to see the city can join a guided bike tour instead. 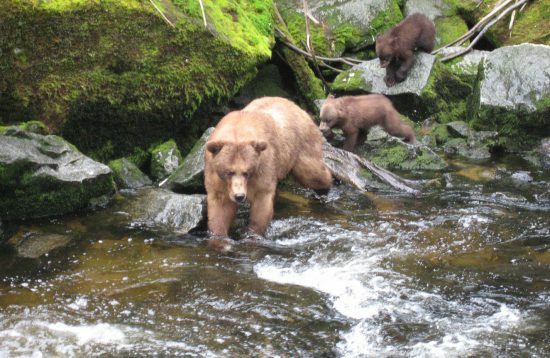 Afterwards, you will have free time to explore the town on your own. A spectacular Farewell dinner awaits you tonight, and the ship will stay in Bordeaux.